A new California-based microgrid investment fund is seeking projects to finance in India, Indonesia or Tanzania. The Microgrid Investment Accelerator (MIA) issued a request for qualifications (RFQ) this week seeking qualified and experienced renewable energy service companies (RESCOs). Launched at the U.N. Sustainable Energy for All Forum on April 2, it is backed by founding partners Facebook, Microsoft and Allotrope Partners. This first-of-its-kind financing facility seeks to mobilize about $50 million between 2018-2020 to expand energy access to communities that currently lack reliable, modern energy services in India, Indonesia and East Africa. 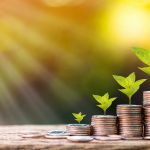 The investment fund offers both equity and debt at the corporate and project level for renewable energy microgrids. To de-risk private sector capital, MIA operates under a hybrid non-profit/for profit structure. This allows MIA to mobilize grants and concessionary capital from sources that agree to sacrifice some financial return for the sake of societal good. The fund has set a goal to raise $45 million by the end of this year, with $20 million for India, $15 million for Africa and $10 million in Indonesia. 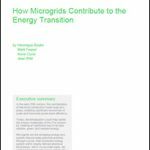 The microgrid investment fund seeks responses by June 30. The application is available on MIA’s website. Track news about the MIA RFQ and other microgrid solicitations by following us on Twitter @MicrogridNews. Energy Power back yo the people with hydrogen. The perfect energy carrier for our permanent clean energy for Mobility, House, Boat. Perfect for building a minigrid. Power Station in every home. Energy do it-yourself supply for permanent clean energy. When you will like to know more of us and our project, please let us know.